We expect no objection when we say that professionals find it a blessing to have Microsoft PowerPoint when it comes to presenting ideas and other things in a truly persuasive, impressive and effective way! Although there are some PowerPoint alternatives, Microsoft PowerPoint holds a monopoly when it comes to slideshow creation. At the same time, it needs to be noted that simply filling PowerPoint slides with some text doesn’t make an effective PowerPoint presentation, especially when considering dominance of the visual content over written text. In this post, we will explore different aspects of SlideModel.com and the services it offers, from a professional point of view. So, shall we start our endeavor? 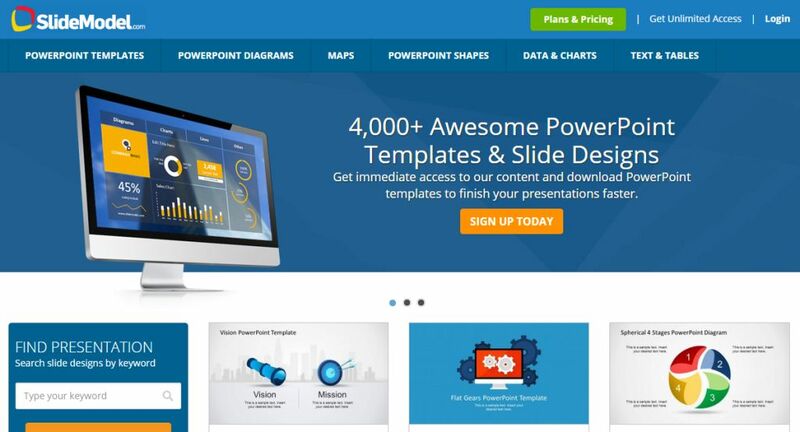 SlideModel is a nice place to download PowerPoint templates. Their slide designs are 100% editable and can be adapted to your presentation requirement. Yeah, using SlideModel to find the appropriate PowerPoint template is a matter of a few clicks given that you have a clear idea of what you are looking for. You can find the best templates by checking out the corresponding category or by typing your keyword in the search bar. SlideModel has a lot of sections worth checking out with different galleries. Now, we will move on to different aspects of the site, in light of our experience with the service. Instead of following the typical review style, we will check out some features of the service that grabbed our attention. PowerPoint Templates, which includes typical PowerPoint templates that are made to satisfy different kinds of needs such as Business, Strategy and Marketing. These would really help you in business environments. PowerPoint Diagrams, which has various kinds of diagrams such as tree diagram, flow-chart diagram, organizational charts, etc. You can also search for diagrams based on the number of steps you want to describe. Editable Maps Templates for PowerPoint, which consists of different templates that can help you convey geography-based data in an easy way. PowerPoint Shapes, which contains signs, symbols and other useful Clipart that will be helpful while creating PowerPoint presentations. 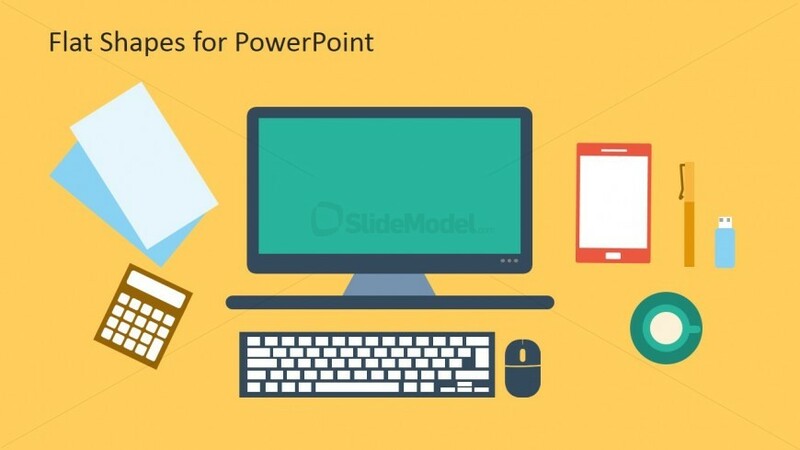 The main benefit of using PowerPoint shapes is that you can easily change their properties such as fill color or shadow effects to adapt to your theme. Data & Charts, which will help you break down complex data into bar charts, pie charts and much more. Text & Tables, you should check the section out if you want to present your text in an innovative way using creative presentation layouts. 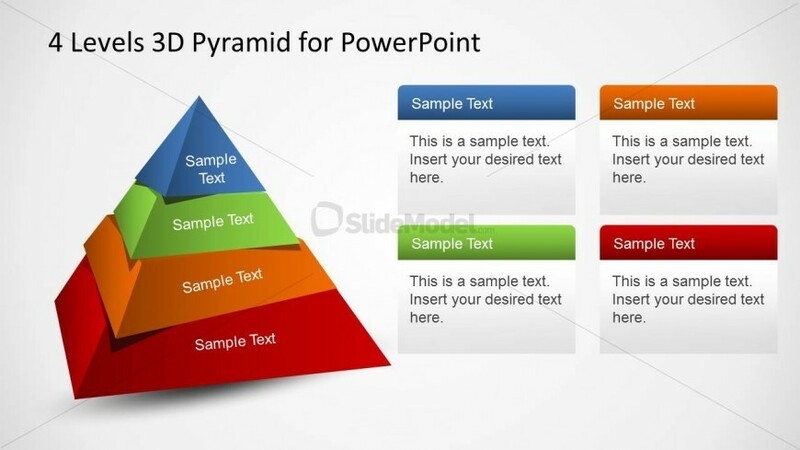 It is worth noting that each category of SlideModel has different subsections; for example, in case of PowerPoint shapes, you can find choose 3D shapes or Traffic Lights or anything else from drop down menu. It is indeed a great feature in our opinion. Single template-featuring page of SlideModel will definitely help you have enough information about that particular PowerPoint template. Along with a brief description, you can have the list of compatible PowerPoint versions such as Microsoft Office 2013, 2010 or 2007. Also, feature that lets you import the presentation template into Apple Keynote or Google Slides is quite useful. In addition to these, you have to keep in mind that you can edit these templates as to make them optimal for your requirement. For instance, you can remove or add some types of elements, change the color scheme of the whole template and do a lot of things to make yourself feel that it is your creative work rather than a mere PowerPoint template. SlideModel.com offers different plans for different customers, giving consideration to what a user may need from the site, and you have all the freedom to choose the plan that meets your requirement. The first plan, namely 3-Month Basic, is for those users who need to create professional presentations for specific projects within a period of time, combining PowerPoint Templates of different categories. This plan allows to download 100 templates per month with a daily limit of 10 templates.. The second option, which is called Annual Basic, is targeted towards active presenters and presentation designers, professionals who need hundreds of PowerPoint presentation assets. You can download up to 200 templates a month with a daily limit set to 50 PowerPoint templates. The third plan is said to be the most popular one from SlideModel.com and this plan is for those who need to create umpteen numbers of presentations every year, probably in an organization that serves a big number of clients. When you have purchased this plan, you can download unlimited number of templates every day. Plus, considering the possibility of an organization, this account can be shared with up to 10 users. Altogether, we were impressed by the pricing section of SlideModel and it will be suitable for almost every kind of user that approaches SlideModel for finding an effective PowerPoint template. In addition, SlideModel does offer money-back guarantee if you are not happy with their products. Taking our own experience as reference, we can say that SlideModel website is very simple to use and anyone will be able to find the most appropriate PowerPoint template from the site in a few seconds, with the help of all those tags, categories and sub categories. Also, as we said, each page gives information about the template in a brief way. In light of our experience and the templates we had downloaded and tested, SlideModel is a great site for those who need to create stunning PowerPoint presentation with the touch of visual beauty in it. So, we recommend all our readers to check out and use SlideModel. Despite the fact that you have to purchase any of SlideModel plans to really have real power of collection, you can check out free PowerPoint templates section of SlideModel and we are quite sure that you will be impressed. Create your account here: http://slidemodel.com/account/plans/ (remember to use the coupon code BBPPT to get a 20% discount on any of the available plans).